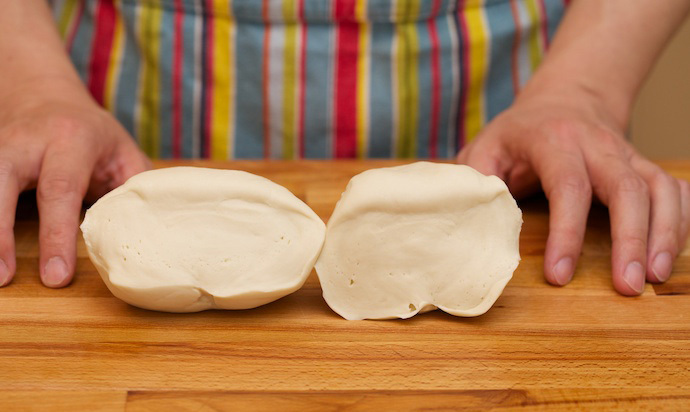 Many people feel that Chinese Steamed buns look easy to make but in fact take some skill to do. 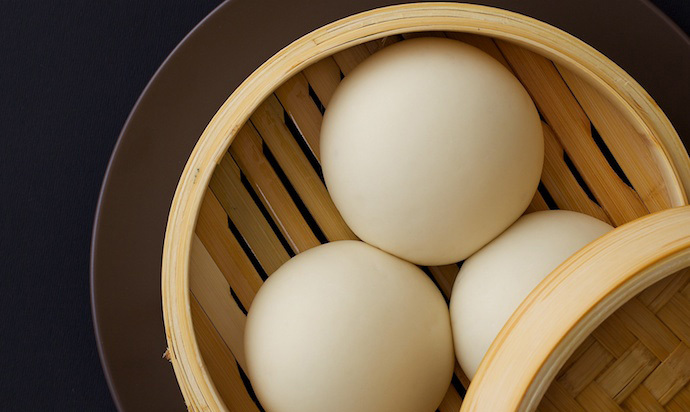 Chinese Steamed bun is the base for countless other complex and delicious Chinese snacks! 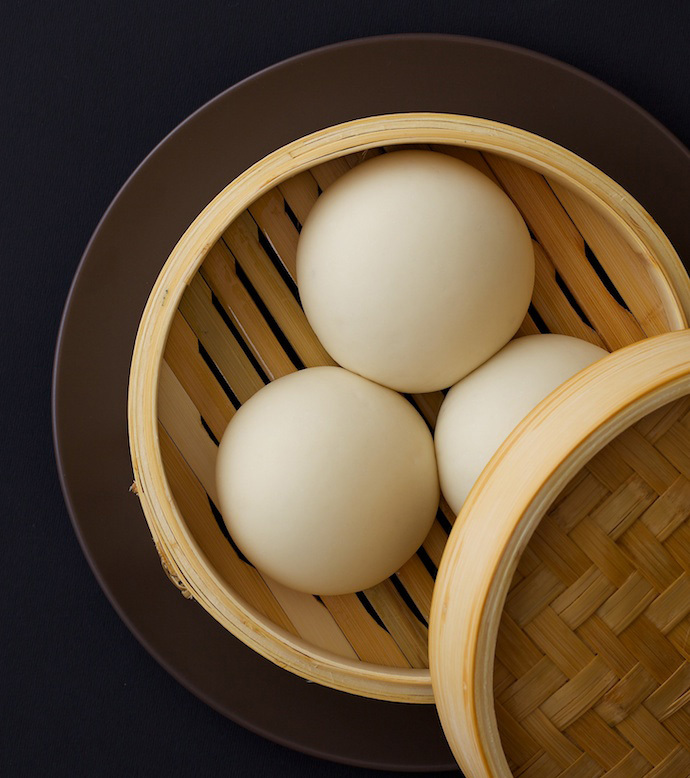 But plain steamed buns do not have or need any delicious stuffing or fancy shape, steamed bread has its own simple charm and is fabulous just on its own. In the West cookies and cheese cake are very delicious, and are easy to make producing a stunning result. But bread is bread. It has no fancy appearance and requires a long process to make. But it is well worth the effort and the wait. As humble as it is, there is still nothing like homemade bread. What is considered delicious bread, is subject to personal taste, but in my opinion, at least two points are important to consider in determining what good bread is. First, it must be wheat bread because wheat flour has a deliciously superior taste when fermented, and secondly, the texture must be soft and flexible. Most mass-produced bread (and particularly the cheaper varieties), is soft enough, but it lacks flexibility being easily flattened, not to mention the chemical additives. It is often like eating paper! Of course, the appearance of bread is also very important, there has long been statistical data to prove that people’s buying habits are influenced largely by a delicious looking loaf. Good-looking bread is naturally uniform in size, well rounded and smooth. 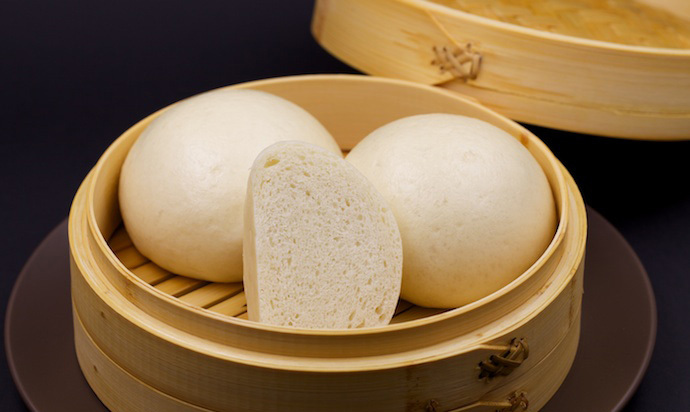 As for the color, now days it doesn’t seem to be so important, but there was a time when everyone wanted steamed buns to be white, and unscrupulous manufacturers added phosphor to the flour which made the flour look whiter. Of course, the fermentation process itself makes the bread white. Speaking of steamed bread, you do not need a bread ‘starter’, like they used in the old days. It could prove difficult to get if your family has not passed one down, or you don’t know anyone who can pass a bit on to you. It is no longer difficult to buy yeast, so bread making is easy now. However, many people wonder which is better: bread starter or yeast? Of the 1500 different kinds of yeast, only one can be used for steamed bread, which is bread yeast. Yeast has only one ingredient: yeast, however a bread starter, which can also be used instead of yeast, has two ingredients: yeast and lactic acid bacteria which consume each other’s metabolites, producing antibodies and invalidating each other, and lead a peaceful coexistence, a model of mutual benefit. 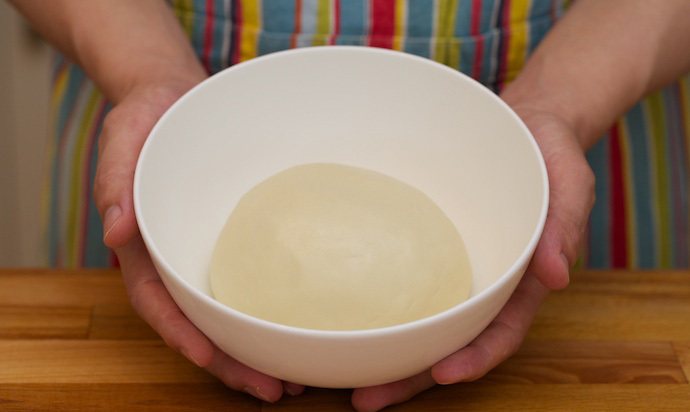 Because the bacteria content is stable in yeast, it is reliable and so much easier to use than the old starter, which in the home environment is difficult to maintain and stabilize, especially in winter. Even the most experienced housewife cannot guarantee every success. Fermentation from a bread starter, because it contains lactic acid bacteria, will produce lactic acid, which produces a sour dough. Westerners like this sour flavor, making a special artisan sour bread (Sourdough Bread), while the Chinese people do not seem to like this sour taste, so will balance the sour with alkali by adding soda. This process will produce the “old style” bread taste that the Chinese are familiar with. Either way, whether you use yeast or bread starter, used properly, both can make delicious bread, and it does not matter which you use. However, if used improperly, it makes it unpalatable. In other words, if you want to make delicious bread, the use of yeast or bread starter, in fact, does not matter, but here I use yeast. 350 g medium gluten flour (makes 6 buns). 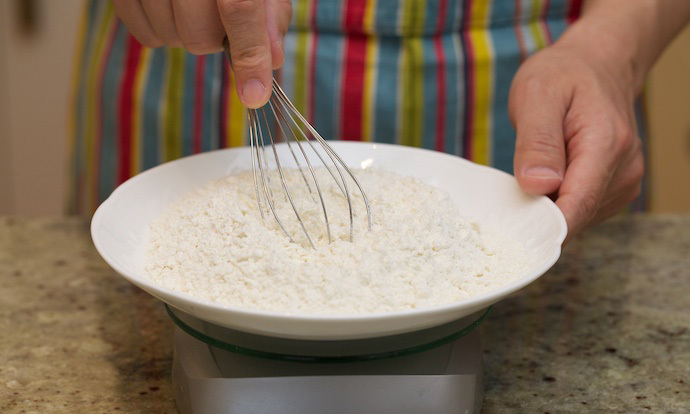 It is best to use fresh flour less than a year old. 200 ml water at room temperature (20 C). The flour I bought is dry, so I am using a little more the water, however, you may possibly only need 190 ml. If you buy 7 g of bagged yeast, use half of it. The role of salt here is two-fold, first, to promote the development of gluten tissue in the dough, making it tough to support the mixture, and second, to inhibit the yeast, delaying the fermentation rate. We use room temperature cold water instead of warm water. The ratio of yeast and flour is 1.1%, rather than the usual 1.4%, the purpose is also to avoid the fermentation going too fast as slow fermentation is the first tip to creating delicious bread. Stir in evenly as high concentrations of salt can instantly kill the yeast. 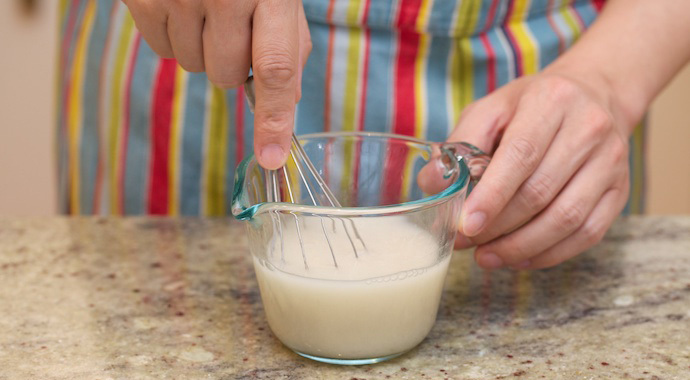 Mix 4 g of yeast and 200g cold water (at room temperature) and stir evenly to ensure the yeast is combined evenly. 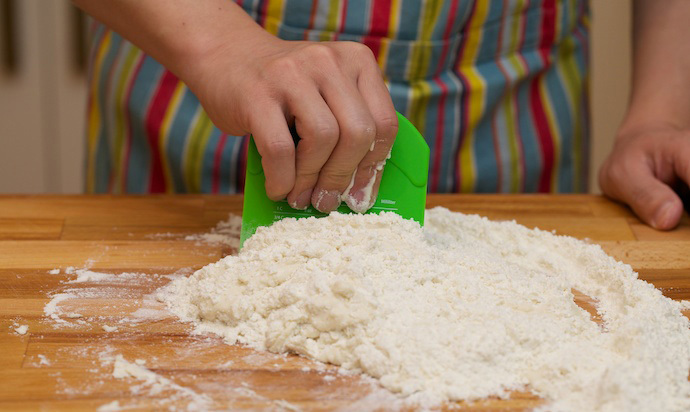 Tip the flour out onto your clean work surface and with a scraper make a ‘nest’ or hole like a crater in the middle. 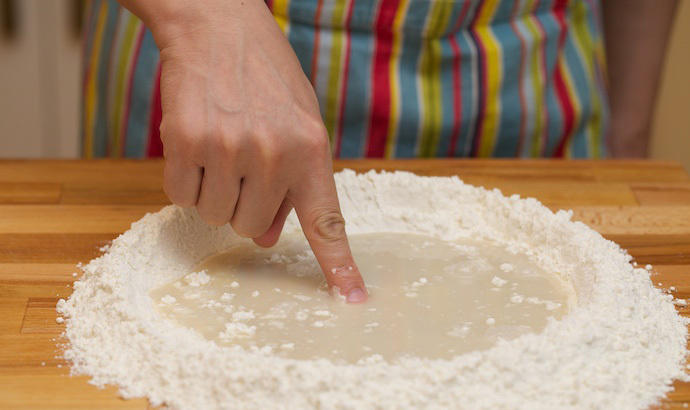 Pour the yeast water directly into the “crater” in the center, and then with your finger gently slide some of the flour from the inside edges into the middle of the yeast water until it has the appearance of batter. 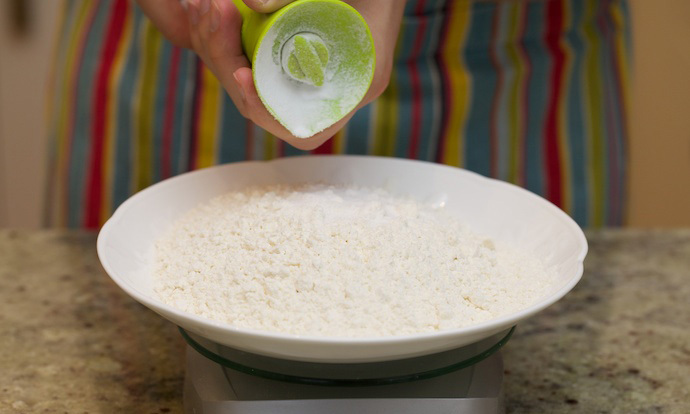 Then mix all the flour together with a scraper to form the dough. Why do I push a little bit of flour into the water first? Because the proportion of the dough water is relatively high, and so doing it this way and will make the rest of the dough a little firmer, and not too soft and sticky. 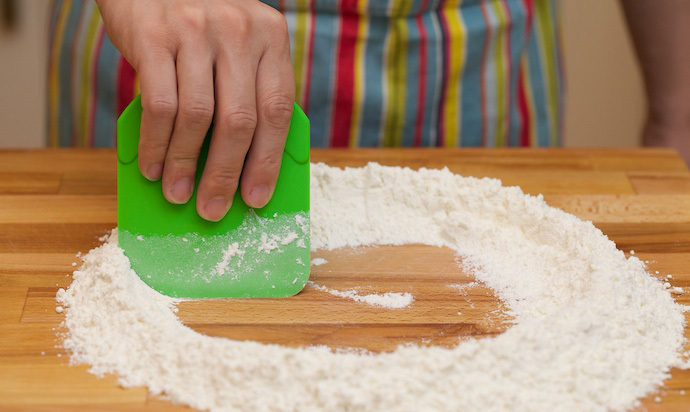 On the contrary, in the production of noodles, because the proportion of dough water is relatively low, it must be the opposite way, adding flour bit by bit to the water which will make the dough soft for kneading. And then hand mix into a dough. The last part of the process is the most manual part: kneading. 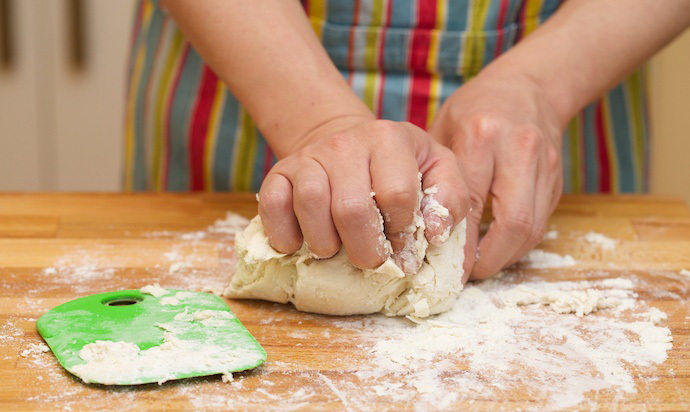 Knead the dough for at least 15 minutes to form a smooth and soft dough. 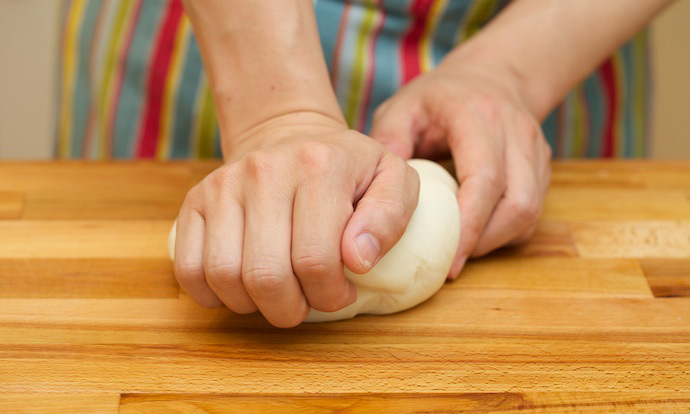 To knead, press down softly on the dough and apply a little force and push it forward. The kneading method should not be too fierce, or it is tiring. 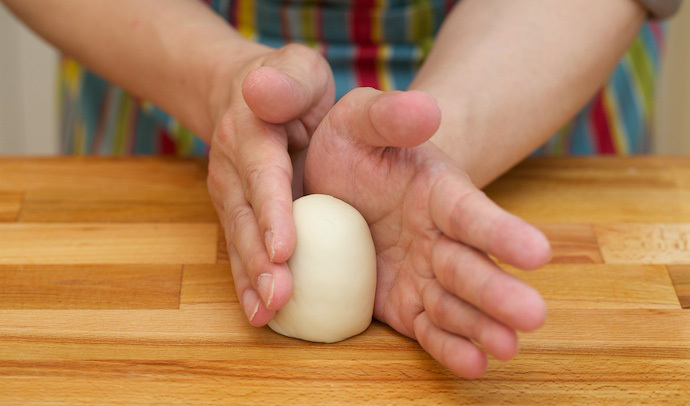 Kneading gently can be therapeutic once you get into a rhythm! 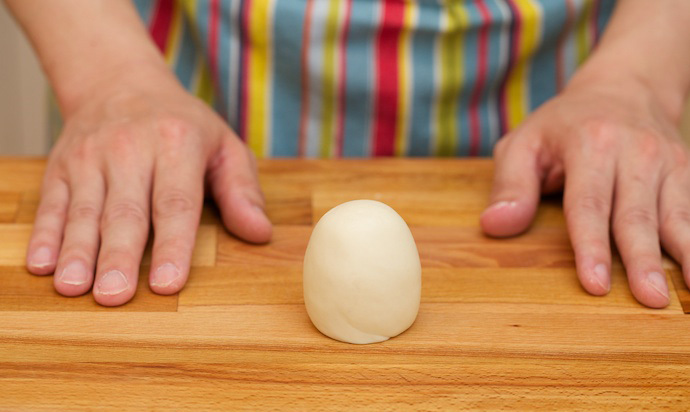 Once the dough is smooth and shiny, shape it into a ball. 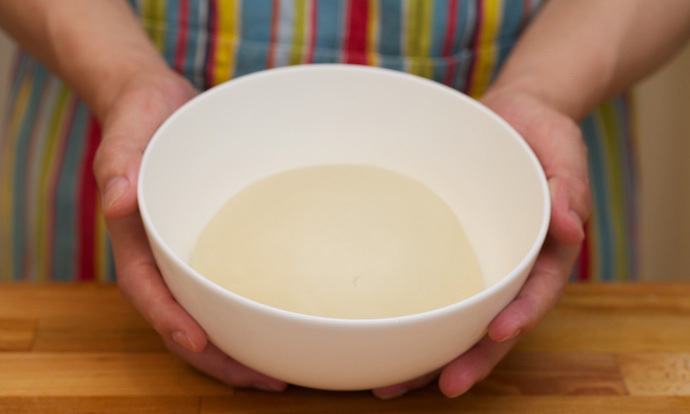 Take a large bowl and coat the sides and base with a thin layer of vegetable oil (use a relatively light vegetable oil such as peanut oil or grape seed oil) and place the ball of dough inside. Cover the dough itself closely with plastic wrap. Leave in a warm place to rise for 40 minutes. Here it is 20 C room temperature, if the room temperature is high, you can shorten the time to 30 minutes. After this first fermentation take the dough out, then knead again. The main purpose of this second kneading is to expel any air or bubbles from the dough, making it soft and flexible, and avoid getting any big holes in the finished bread. Knead for about 5-10 minutes, and then put the dough back into the bowl, covered with plastic wrap to continue fermentation for another 40 minutes. This is “fermentative – exhaust”. The kneading cycle requires 4 rounds in total. 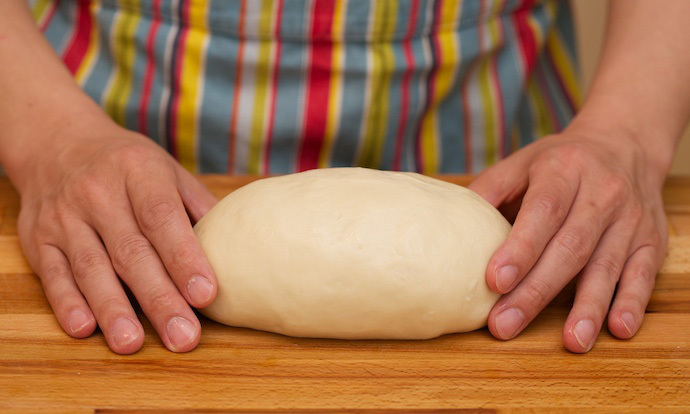 After the last round of kneading, lay the dough on your work surface and shape it into a uniform cylindrical shape. Cut into 6 equal parts. These are the 6 buns. Steamed bread is best as buns and does not do as well in a whole loaf, as it forms large air holes inside the bread. To ensure well-shaped buns, the dough requires constant turning so that all sides of the dough are kneaded evenly ensuring smooth and uniform buns. I suggest that each bun should be kneaded 120 times, in two lots of 60 times. Knead each bun in turn 60 times each, then go back to the first bun and repeat, so that each has a rest in between. If the air is relatively dry in your kitchen, place the buns into a sealed container while kneading the others to keep them moist. 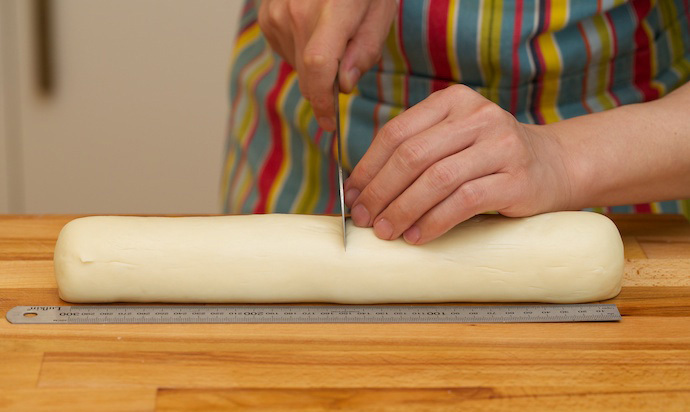 Shape the bun dough into a neat cylindrical shape. The shape of the bun should be tall and narrow, like this, but after the second rising it will gradually expand horizontally, becoming round and ball-shaped. 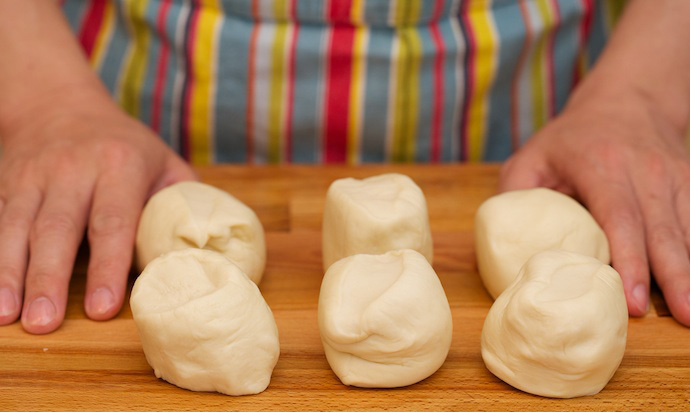 Place the bun dough cylinders into the steamer for the second rising. To prevent the dough from sticking, use baking paper on the base of the steamer. Set the steam temperature to 45-50 C. The second rising time is about 30 minutes. Bread made following this technique of rising is pretty much foolproof, and produces delicious bread! Finally, steaming the bread is a very simple process: put cold water into the steamer and the buns onto the steamer. Bring to the boil and turn down to medium heat, cook for 10 minutes, and then turn off the stove. Wait 3 minutes and your steamed buns can be taken out! This approach to making bread, with a thorough fermentation process, brings out the full natural wheat fragrance. It is also amazingly elastic so that if flattened with your hand will rebound in 2-3 seconds to the original shape, making it not only delicious, but more fun to eat than ordinary bread!